Post-Sept. 11 Saudi Arabia Modernizing, Slowly Just as Sept. 11 changed the U.S., so, too, did it change Saudi Arabia, an important ally as well as the place where some of the terrorist attacks' seeds were sown. A decade later, Saudi's royal family has disavowed religious extremism while staving off the popular "Arab Spring." Standing amid the rubble, a man calls out to potential survivors after the collapse of the first World Trade Center Tower in New York City on Sept. 11, 2001. 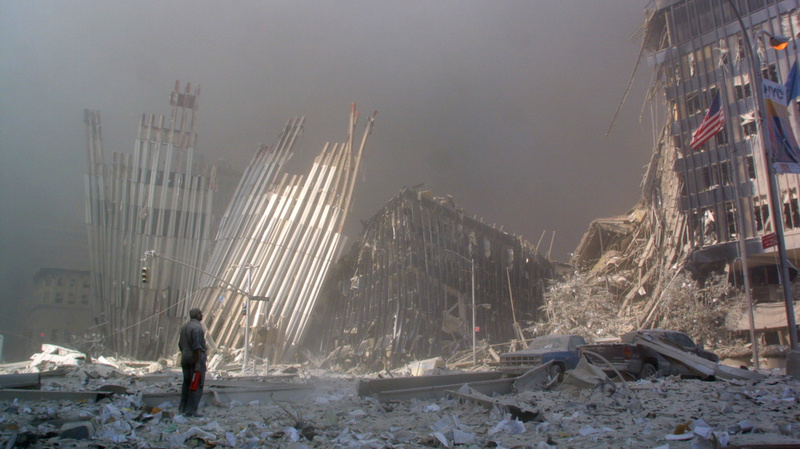 Fifteen Saudis were among the hijackers who carried out the Sept. 11 attacks. Abdulaziz Al Rabah remembers it was a Tuesday. The call to evening prayer was echoing across his hometown of Hafr-al-Batin, Saudi Arabia, and bearded religious police had shooed him and his friends off the neighborhood soccer pitch. "Have you seen what happened to America?" a wide-eyed friend asked the 13-year-old. Racing home, Al Rabah joined his mother to watch the satellite television newscasts of America's agony unfolding on Sept. 11, 2001. "I remember she was sad to see two guys jumping to the ground," he recalled. His family felt sympathy for the United States, Al Rabah said, and a few days later, shame, when they learned that 15 of the 19 suicide hijackers were Saudi. He also remembers that some of his schoolmates "were happy" that America had been hit. He came of age in the decade since Sept. 11 and like many Saudi youth, he is excited by the events of the so-called Arab Spring, which have given the region's aging political elites — from Tunisia to Egypt and Libya and beyond — their biggest challenge in decades. 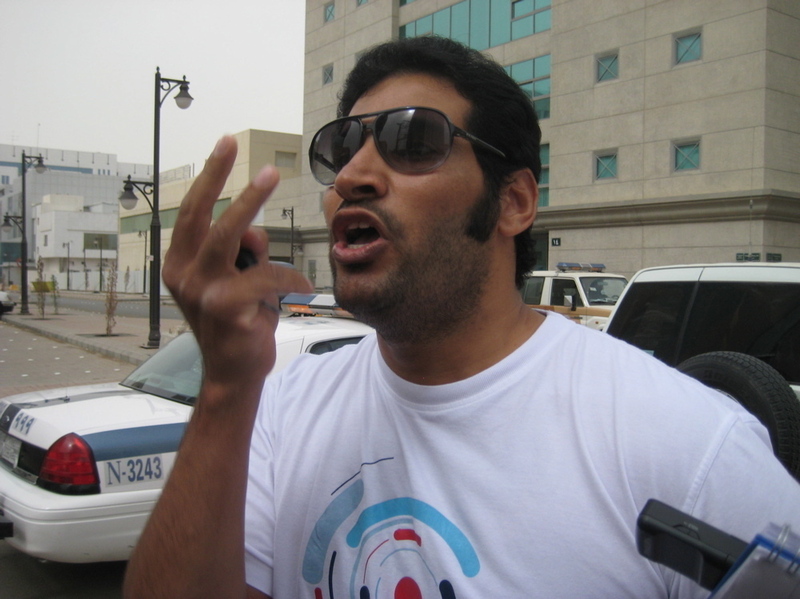 While he is inspired by the youth-led uprisings, and puts himself with those Saudis who "want to change everything to the best: human rights, freedom of expression and women's rights," Al Rabah nevertheless does not want his own country convulsed by the disorder and violence wracking other Arab states. For him, as for many other Saudis, what comes next is unclear. "No one knows what will happen next year, in two years," he said. "It's like, foggy, you know." Abdulaziz Al Rabah was 13 on Sept. 11, 2001. 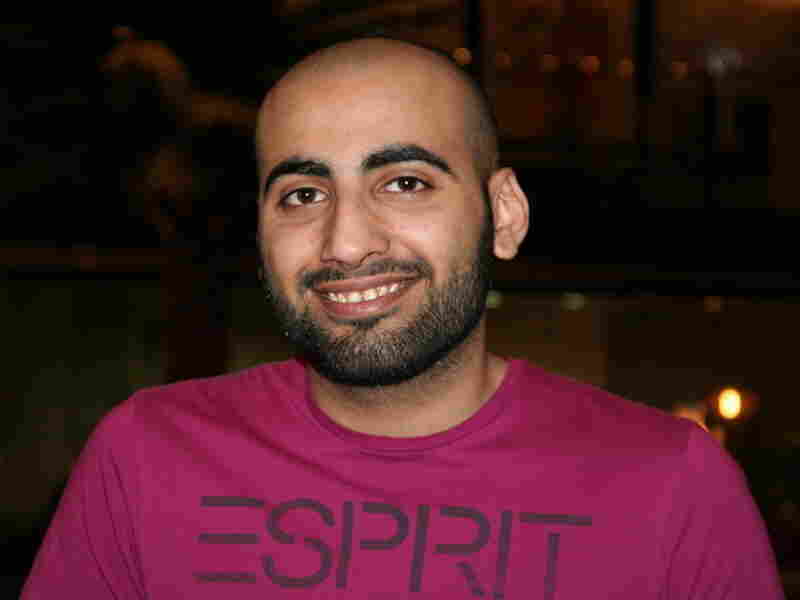 Now a journalist in the Saudi capital, Riyadh, Rabah is inspired by the youth-led events of the Arab Spring. I met Al Rabah while reporting from Riyadh during a recently concluded three-year stay in Saudi Arabia, where I was able to see close-up how events of the past decade have affected the world's largest oil producer. Just as that fateful, blue-sky day of Sept. 11, 2001 changed America, it also changed Saudi Arabia, an important U.S. ally, but also the place where some of Sept. 11's seeds were sown. The terrorist attacks that day were a prelude to internal struggles that have preoccupied Saudi Arabia ever since. First came shock and shame at the large role of Saudis in the Sept. 11 attacks, followed by an al-Qaida-led insurgency that traumatized the kingdom and left 164 people dead. These events forced the government to ultimately come to grips with the role that its rigid, anti-Western Wahhabi brand of Islam had played in creating al-Qaida's ideology of anarchic violence. After a belated, tacit admission that some extreme Wahhabi views had nurtured Islamist militancy, the government launched a series of initiatives to combat those ideas, including a domestic campaign promoting "moderate" Islam. Now, the House of Saud is coping with a second, more complex struggle whose ramifications are potentially more profound: How to maintain its political legitimacy — which depends on an alliance with a theologically ultraconservative religious establishment that regards democracy as un-Islamic — in the tumultuous, post-Sept. 11 landscape created by the Arab Spring. The Saudi government is well aware of the political, social and economic reforms needed to assure the kingdom's success in a competitive, globalized 21st century. But the ruling royal family is loath to dilute its powers through reforms. Indeed, it recently bolstered its ties to the clergy to help it ride out the storm of youth-led revolts that already have toppled two Arab leaders and threaten others. Saudi Shiite protesters chant slogans during a protest in Qatif, Saudi Arabia, March 10, 2011. Internet calls for a "Day of Rage" March 11 did not rally large numbers of demonstrators, but many young Saudis remain buoyed by the events of political uprisings around the region. "People will never go back," he said. "If they are forced, there will be a revolution." "That," replied Al Rabah, "is what we used to say about Egyptians!" Like Al Rabah, many Saudis clearly remember where they heard about al-Qaida's Sept. 11 attacks. Some were dismayed, others pleased. Many denied that Saudis could have planned and executed the most successful terrorist attacks ever against the United States. Conspiracy theories that they were the work of dark forces within the U.S. government or Israel were widely believed. Interior Minister Prince Nayef Abdul Aziz, who denied for months after Sept. 11 that Saudis were among the hijackers, suggested in a November 2002 interview that Jews were behind the attacks, saying that terrorist networks like al-Qaida had links to "foreign intelligence agencies that work against Arab and Muslim interests, chief among them is the Israeli Mossad." But a few months later, on the quiet, warm evening of May 12, 2003, massive explosions ripped through three residential compounds in the Saudi capital, Riyadh. Twelve suicide bombers managed to kill more than 30 people, including nine Americans. It was the start of a violent campaign by al-Qaida underscoring that, in its eyes, the House of Saud was also an enemy of Islam. The most important thing is that the country started to open up. It's not like it was back in the day. Saudi religious leaders and government officials had swiftly condemned the Sept. 11 attacks. But it took al-Qaida's insurgency to make them realize that their dogmatic, literalist version of Islam, which views non-Wahhabi Muslims and non-Muslims as inferior, was partly responsible for the terror movement's doctrine. Wahhabism's contempt for those who do not follow its creed, for example, nurtured a mindset of intolerance. It was common, for example, to hear imams curse non-Muslims in sermons at Friday prayers. Saudis point out that Wahhabism teaches absolute obedience to political rulers, so it would never sanction violent revolts like al-Qaida's. Indeed, it is widely accepted by scholars that this aspect of al-Qaida's ideology comes from another strand of Islamist thought articulated in the 1960s by theorists like Egyptian Muslim Brotherhood's Sayyed Qutb. A radical rejected by his movement, Qutb taught that governments following man-made laws are un-Islamic and must be overthrown. That war, in hindsight, was a tragic error now acknowledged by Saudi officials. Since Sept. 11, "the first lesson, and it's the biggest lesson, is that mistakes were committed by the international community when they supported the travel of young guys to go and fight in Afghanistan," said Abdulrahman Al Hadlaq, general director of the Saudi Interior Ministry's Ideological Security Directorate. Then-Crown Prince Abdullah bin Abdul Aziz (now King Abdullah) salutes during a welcoming ceremony prior to the start of a counterterrorism conference in Riyadh in February 2005. Saudi Arabia, hit by a wave of attacks by suspected al-Qaida militants, called at the start of the conference for the establishment of an international center to combat and pre-empt terrorism. Since 2003, Al Hadlaq has been deeply involved in the Saudi government's moves to combat "deviant thinking," which is what it calls al-Qaida's ideology and the most aggressive expressions of Wahhabism. "We must study what has happened," then-Crown Prince and now King Abdullah bin Abdul Aziz told the first dialogue participants, according to historian Robert Lacey. "Something serious has gone wrong here, and we must try to put it right." The dialogue sessions formally recognized the kingdom's religious diversity — a blow against Wahhabism's view that there is only one way to practice Islam. But they have failed to produce much grass-roots tolerance or ameliorate the tensions between the Sunni majority and Shiite minority. "We in Saudi Arabia still need a larger dose of tolerance," said Jamal Khashoggi, a former newspaper editor who now heads a forthcoming 24-hour all-news satellite television channel owned by Prince Waleed bin Talal, one of the world's richest men and a stalwart of the pro-modernizing wing of the ruling family. "I still want more [change], especially in the war against the ideas which breed intolerance and extremism," added Khashoggi during a recent interview on the 57th floor of Kingdom Tower, Riyadh's sleek, iconic landmark built by Prince Waleed. "For example, it is not enough to preach against using violence against foreigners and at the same time you allow a preacher to say you should hate non-Muslims." But reform in this area is far too slow, retarded by stiff headwinds from conservatives who object to "Westernizing" influences and decreases in religious studies. Girls still cannot play sports in government schools because of religious conservatives' opposition. And despite new religious textbooks, teachers' attitudes have not necessarily changed. As of 2010, more than 2,000 teachers had been removed from the classroom because of extremist views and 400 others jailed. To rehabilitate thousands of al-Qaida operatives and sympathizers arrested during the insurgency, the government implemented a re-education program in prisons. Taught by government clerics, the courses promote a moderate, more tolerant version of Wahhabism. A second program designed to reintegrate around 120 returning Guantanamo detainees into Saudi society is widely recognized as highly successful, despite a recidivist rate of almost 20 percent. Another priority has been the retraining and stepped-up monitoring of imams and preachers. Hundreds of mosque personnel suspected of militant sympathies were relieved of their posts. And symposiums on "The Saudi Moderate Approach" were organized at mosques, as well as at universities and schools, to caution against extremist thinking. "We did a lot as a country to counter violent extremism ... [and] right now al-Qaida ideology is not as it used to be eight or nine years ago," said Al Hadlaq. 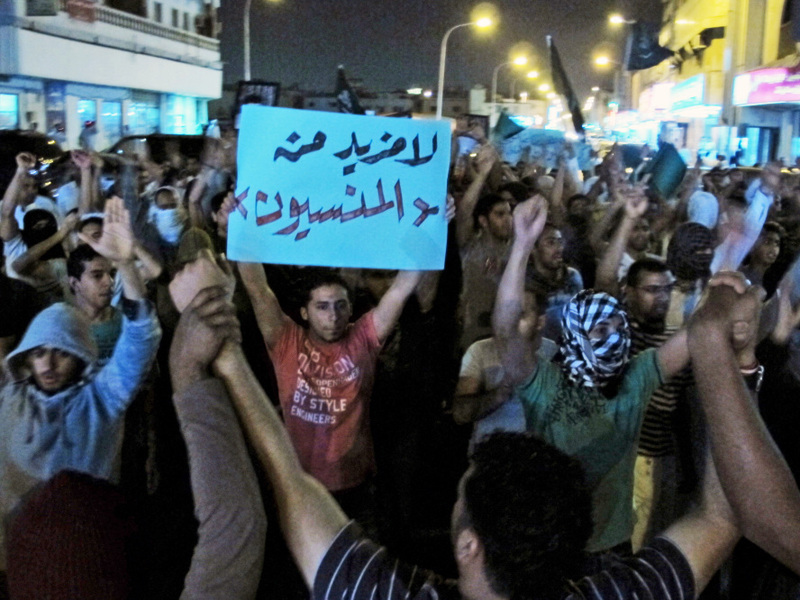 "The ideology does not enjoy any popularity in Saudi Arabia." All the people of the region are seeking freedom and democracy. Conversations with many Saudis indicate that support for al-Qaida dropped off dramatically after it began murdering civilians in the kingdom. But the same cannot be said for Osama bin Laden, whose killing by U.S. special forces in May provoked a variety of responses. One American in Riyadh said he was approached in a supermarket line by a Saudi who said, "Osama bin Laden — Thank you!" But some Saudis described co-workers who had tears in their eyes as they lamented the passing of a "hero" and "martyr" who, they said, is now surely in heaven. Meanwhile, Saudi Arabia was changing outside the domain of religion, often because of forces over which the government had little control. These forces are having their biggest impact on the kingdom's large and growing youth population. With a quarter of its 22 million citizens using the Iinternet, the kingdom is increasingly connected, and its once formidable isolation is fast melting. Facebook has more than 4 million Saudi users, and Twitter tweets skyrocketed 400 percent in the past year. Romantic soap operas and irreverent comedy shows that poke fun at traditional Saudi culture are wildly popular on satellite television. One of the most popular programs is La Yekthar ("Put A Lid on It"), an online comedy show produced by young Saudi stand-up comics. "Starting in 2002, things got totally different here," said journalist Al Rabah, who drives a battered Nissan Altima with bad shocks and, like a growing number of young men, lives apart from his family in his own apartment. "We got more exposed because of the Internet," he noted. "The most important thing is that the country started to open up. It's not like before, when the teacher is always right, the father is always right, the cleric is always right. You can refuse now. It's not like it was back in the day." King Abdullah led the charge to move the kingdom forward. He gave the media a green light to raise social and economic problems, and to criticize clergy for retrograde rulings. He openly promoted women getting advanced degrees and working. He built the kingdom's first co-ed research university, fired clerics who opposed his reforms, and ordered an overhaul of an obsolete court system. 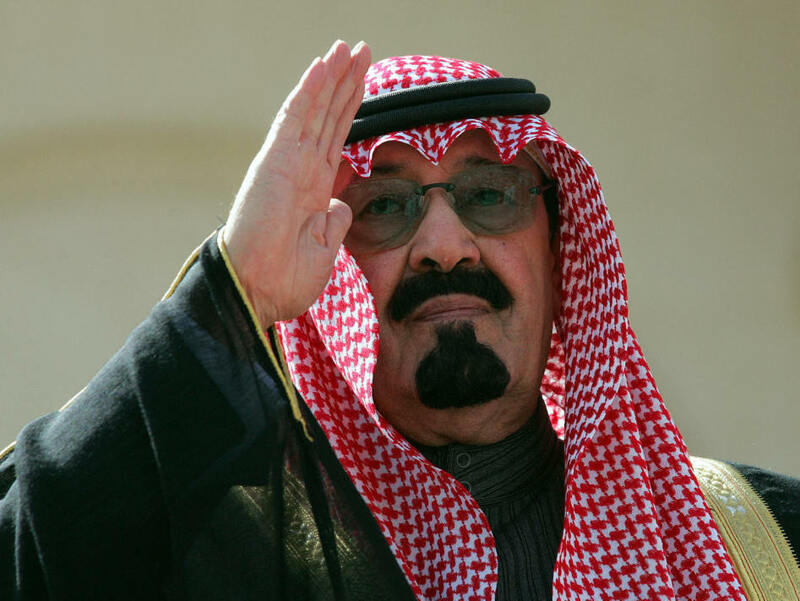 But most of the king's reforms were never hard-wired into new institutions and their slow pace, especially in judicial reforms, left many Saudis disheartened by the end of 2010. Moreover, none of his initiatives fundamentally altered the kingdom's political system. Schoolteacher Khalid Al Johani, 40, publicly denounced Saudi Arabia as a police state to TV cameras on March 11. He was promptly detained, without charges or a trial, and remains in jail, six months later. Then, early this year, along came the youth-led movements demanding reform and new political leadership in Tunisia and Egypt and posing profound challenges to the regimes in Bahrain, Yemen and Syria. With their signature cry of "Salmiyah! Salmiyah!" ("Peaceful! Peaceful! "), these protesters have done far more than the killing of Osama bin Laden to suffocate al-Qaida's faith-glossed ideology of terrorist violence. Mohamed Al Hodaif took his family to dinner at a Chinese restaurant to celebrate the forced departure of Egyptian President Hosni Mubarak. "There were a lot of parties," said the Islamist writer. "People identified themselves with the situation of the Egyptian people. All the people of the region are seeking freedom and democracy." Attorney and one-time opposition activist Abdulaziz M. Al Gasim regards the still unfolding drama as landmark. "For me, this is a very important event in Arab history ... because this is the first time the nation takes the initiative and ... we discovered after Tunis and Egypt that the nation can reform political life peacefully, with no [public chaos]." Arab governments, he added, "have now received a tremendous message ... that they have to change their behavior or they will be replaced. This is the first time the battle is clear. ... It is for good governance and guarantee of good governance by a constitutional state." But when, everyone wondered, would the Arab Spring reach the Saudi kingdom? Unknown persons tried to hasten its arrival with a call on Facebook for a "Day of Rage" on March 11. It turned out to be a "Day of Fizzle." Saudis stayed home, deterred by a huge police presence on the streets and by the suspicious anonymity of those calling for protests. Moreover, many Saudis figured, why protest when the government had just announced billions in new financial benefits, including unemployment compensation, easier house mortgage terms and more affordable housing? The government also pulled out the religion card. Grand Mufti Sheikh Abdul Aziz bin Abdullah al-Sheikh declared the Egyptian and Tunisian uprisings "chaotic acts" designed by "enemies of Islam" to divide the Islamic world. Another senior cleric, Saleh Bin Saad Al-Suhaimi, displayed his Wahhabi credentials by noting that protests are not approved in Islam no matter what injustices the ruler commits. He described the demonstrations as "Masonic and Jewish" plots backed by Iran, the West, secularists and liberals. This work was supported by a 2011 Knight Luce Fellowship for Reporting on Global Religion. The fellowship is a program of the University of Southern California's Knight Program in Media and Religion.